I should have gone to Sainsbury’s – For the fainthearted . . . There was a moment thirty years ago when there was a work party gathered in the parish to decorate the parish hall. It was summertime and the evenings were long and people had time to spare, and the hall was not in use by the various organisations that used it from September to June. Annual holidays were fast approaching and being paid meant obtaining a cheque from the parish treasurer who, despite being a bank manager, had resisted the idea of new-fangled electronic funds transfers. There was more than a little anxiety about getting in the cheque, for without it there would be no money to finance the modest camping holiday that was planned. He stood and looked at me. I was standing on a step ladder, wearing an old sweatshirt and pair of jeans. He looked at me curiously, “Sorry, I didn’t see you.” It was thirty years ago and it was Northern Ireland, but. without a dark jacket, shirt and trousers, I had become invisible to someone who knew me well. He saw only old clothes and a paintbrush. Thirty years later, one assumes that we are wise enough not to judge on the basis of superficial appearance, particularly if we are in business, we are not so foolish as to respond to a person on the basis of how they dress. A colleague returned to the office this morning with shopping for various staff members. 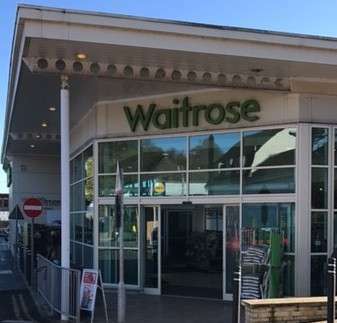 He reported that a member of staff in Waitrose had told him that if he were a loyalty card holder, he would be entitled to free tea or coffee. Lunchtime came and having been unsuccessful in finding sandwiches in Lidl, I walked to the adjacent Waitrose. Various appetising options were available and I made my choice and went to the till. “That will be £2, please.” I handed over a £10 note. At this point, if I have not already done so, a nice staff member in Tesco will always asks me if I have a clubcard and I will hand it over. I waited for such a question. I took it and put it in my pocket. I waited. I picked up my sandwiches and left. Being dressed in a grey hoodie, blue jeans and brown boots, I presumably did not match the profile desired for Waitrose card holders. I didn’t want a card, anyway, though the free tea and coffee would be nice. It appears that his words were not so much a joke as they seemed at the time. I used to work security for a Private Bank in Frankfurt. A bank that required an initial deposit of a Million DM in cash to open an account. One evening an old man shuffled up to the window of the bullet proof cabin. He was dressed no differently to any retired German bank clerk on a modest pension. He spoke to me, timidly, uber politely as if i were his social superior. A nice old boy. He asked if any letters had been left there for him. I can’t recall now if there was mail for him there but I do recall wondering why a pensioner of the bank would have his post redirected to the security office so when my colleague came in later that evening I recounted what had happened. Turns out he was the Semi Retired Numero Uno of the bank or ‘God’ as he would have been referred to. The bank’s founder and one of the richest men in Germany if not Europe at the time. A man who literally had the Chancellor and Kanzler on speed dial and what he refered to as ‘mail’ were infact Multi-Billion dollar agreements purchasing the entire crop of bananas of some nation state or the other that required his signature. I learnt the lesson. “Sorry to trouble you , i used to work here..” yeah , right. The days when Sherlock Holmes could deduce everything about a man from his attire are long past. Especially in these god awful days when both the high and lowly born will answer the bloody door in their boxers….and that’s just the women. 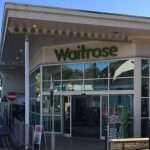 I never minded Waitrose’s that much when I lived in England but M&S had the ability to annoy me profoundly. There was something so gratingly prissy about the food servings. And tiz one of the things I’m disappointed with my fellow countrymen is that M&S survives in Ireland. We’re just not thin check shirt people.